Heavyweights of the pool have been getting some Olympic tips from boxing champion Anthony Joshua. Swimmers from the Loughborough National Performance Centre were invited to train with the 28-year-old, to learn how other sports build success and pick up tips from one of Britain’s most successful sports stars. 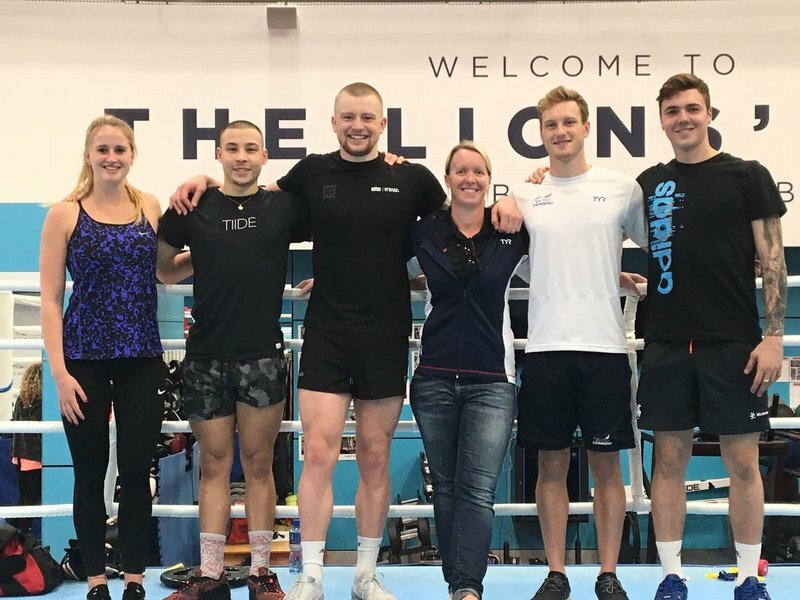 Adam Peaty, Sarah Vasey, Luke Greenbank, Jarvis Parkinson and Ed Baxter were invited along to Joshua’s training session at his base in Sheffield, and were shown the ropes at the World Class facility. Loughborough Head Coach Mel Marshall said: “We are two years away from Tokyo 2020 and we want our swimmers to be in the best position possible and ensure they have a great journey with us. “Both at Loughborough and at Bath we want to offer these amazing opportunities for our swimmers to ensure they are not only prepared physically for the Olympics, but mentally too. “Being part of British Swimming isn’t just about being a chance to develop as swimmers, but as people too. Joshua, who holds three of the four major world titles, won his Olympic title in the Super-heavyweight class at London 2012 and is undefeated across all 21 of his professional fights. He has expressed an interest in looking at other sports and activities, such as chess to be able to give him a tactical advantage over his competitors.